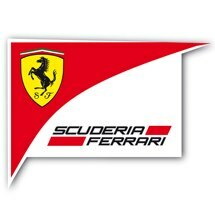 Maranello, 17 September – Having said farewell to Europe at the high speed Monza circuit, the Formula 1 circus now faces an equally rapid dash from Singapore to Sao Paolo, fitting the final seven races into just ten weeks. It’s a hectic schedule and a logistical challenge, as the championship takes us first to the Far East and then to the Americas via the Middle East. There are only 2.142,189 racing kilometres left on the calendar, but the teams will cover a vast distance to get to them. Like its more famous Monegasque cousin, this venue is also tough on brakes, gearbox and suspension and more significantly, the 61 laps of Marina Bay require maximum aerodynamic downforce levels. Therefore, as Fernando said in Monza a fortnight ago, the Singapore Grand Prix will provide a more accurate litmus test than Spa or Monza of how much progress has been made on the F138 development front.